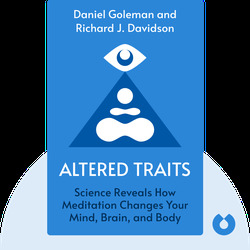 Altered Traits (2017) takes an empirical look at the art of meditation and details the benefits it has on our mental well-being. It also looks at different types of meditation, as well as the effects of meditative practices on different groups, including experienced meditators, students and even a yogi. Daniel Goleman is an author and Harvard graduate. One of his best-known books is Emotional Intelligence (1995). Goleman’s interest in meditation began with a two-year trip to India when he was a student. Richard J. Davidson is a psychologist from Harvard and the director of a neurological laboratory in Wisconsin. 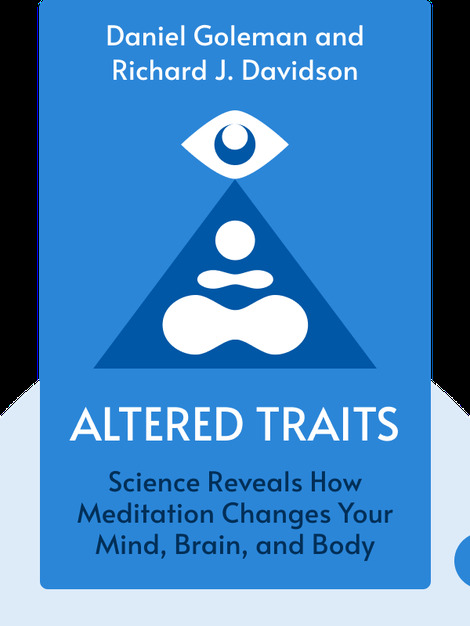 Davidson has been studying the effects of meditation on individual well-being for decades.